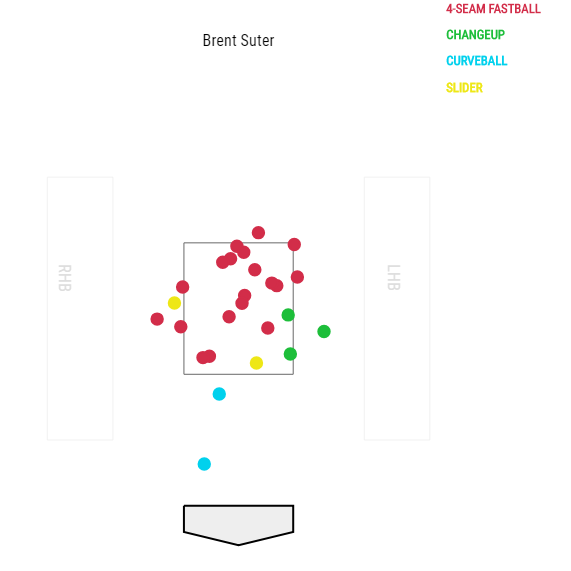 Below you’ll find the RW23 hitter projections for the 2019 Milwaukee Brewers, along with the Steamer and ZiPS projection systems for comparison. In its debut season, RW23’s hitter projections went toe-to-toe with Steamer, while solidly beating ZiPS. Remember projections are just projections. Don’t take them as fact. But feel free to bash them in the comments section. This entry was posted in Projections and tagged Milwaukee Brewers, RW23 Projections on March 16, 2019 by Justin Schultz. Ever since the Milwaukee Brewers jettisoned Jonathan Lucroy to the Texas Rangers at the trade deadline in 2016, the club has been in search of a reliable catcher. One that could not only handle a pitching staff, but one that could carry his weight at the plate as well. Over the last two seasons, the Brewers have dished out at least 100 plate appearances to four different catchers, as they attempted to find a full-time Lucroy replacement. Manny Pina was a respectable option in 2017 and 2018, with his defense shining significantly brighter than his offense, but the Brewers coveted and needed more offensively. When the offseason began, the Milwaukee Brewers had two glaring holes in their lineup that most thought they needed to address in order to repeat the successful season they put together in 2018. Although the Brewers aren’t an organization that necessarily listens to outside noise, general manager David Stearns likely knew he needed to upgrade both the second base and catcher position. As of now the Brewers will head into the season with the trio of Hernan Perez, Tyler Saladino and Cory Spangenberg at the second base, though that’s likely to change before spring training. As far as upgrading at catcher, the Brewers did just that by signing Yasmani Grandal to a one-year, $18,25 million deal. In a single move, the Brewers grabbed one of the best catchers not only available in free agency, but in Major League Baseball as a whole. And no, that’s not a hyperbole. Grandal is, factually, a top-tier backstop, especially when it comes to the skill of hitting. Grandal has been worth 9 WAR over the last three seasons, while Brewers catchers have somehow compiled a measly 4.1 WAR since the Lucroy trade, with Pina accounting for 80 percent of that total. It’s clear that the Brewers needed an upgrade. Now, you might remember Grandal’s lackluster performance against — and here’s the irony — the Brewers during the National League Championship Series this past fall when it seemed like he couldn’t catch a ball to save his life. Some even gave him the moniker “Yasmani Passed Ball”. And while not necessarily clever, Grandal’s struggles with passed balls have been well-documented. He’s led baseball in past balls three times, and that was on full display in the NLCS. But don’t think his affinity for passed balls necessarily makes him a bad catcher. According to Defensive Runs Saved (DRS), Grandal has actually been the best defensive catcher in the league over the last three years. We all know that defensive statistics — particularly those pertaining to catchers — are nowhere near perfect, but this is telling, nonetheless. Even with his passed-ball problem, he more than holds his own behind the plate.. And that’s even more true when talking about pitch framing. 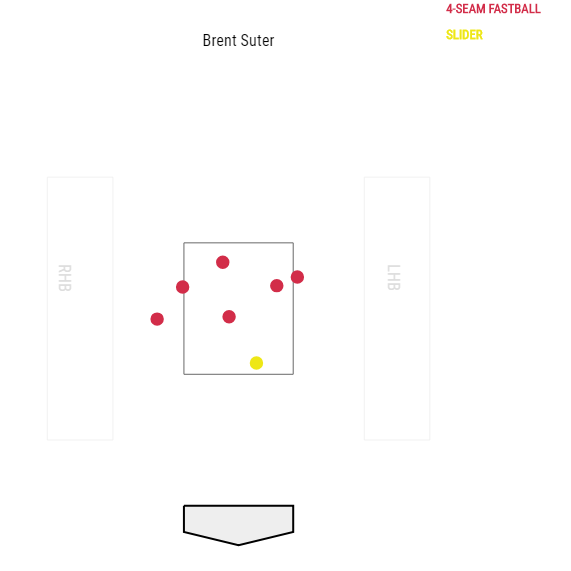 Per StatCorner, Grandal was behind only Jeff Mathis in terms of pitch-framing value in 2018. The 30-year-old catcher was worth 13.8 runs saved above average, while meanwhile, Pina — who’s known for his defensive prowess — was way down the list at -4.2 runs saved above average. One could argue that Grandal is upgrade over Pina as a hitter and as a defensive catcher. The Milwaukee Brewers are a significantly better team with Grandal behind the plate, though FanGraphs still has the team pegged for a crazy-low 79 wins. But we must take that with a grain of salt. Last year the site also predicted Milwaukee would finish with 79 wins, and look what happened. Don’t take projections too seriously. It’ll just make you mad. The fact is the Brewers are better than they were a week ago. Not even FanGraphs can argue that. Even if Grandal can’t meet these high-performance numbers, the shift to left-handed hitter friendly Miller Park should greatly aid the switch-hitting catcher. A career year for Grandal definitely isn’t out of the question. What’s important is that the Brewers finally have their catcher, and even though their solution only covers a year, it’s clear the organization is looking to build on its 2018 success. Grandal’s addition gives the Brewers another dangerous hitter in a lineup that is already filled with them. This entry was posted in Analysis and tagged Manny Pina, Milwaukee Brewers, Yasmani Grandal on January 11, 2019 by Justin Schultz. One could make the argument that Travis Shaw already enjoyed his breakout season. One would intelligently say his break out happened in 2017 when Shaw set career highs in wRC+ and home runs. And really no one can reasonably disagree with that, because it’s true. Shaw broke out the minute he was traded to the Milwaukee Brewers, when he proved he was capable of being more than just a platoon player. I believe Shaw is capable of more, though, and I think that 2019 will be his true coming out party, because in 2019, he’s destined to be an All-Star. Shaw is entering his age-29 season and has produced 3.5 WAR and 3.6 WAR in the last two seasons, respectively. The left-handed slugger crushed 31 home runs during his first year in Milwaukee and followed that up with 32 this past season. His wRC+ stayed consistent as well, from 120 in 2017 to 119 in 2018, both well above league average. According to WAR and wRC+, Shaw produced nearly identical seasons. Overall, he’s been an extremely reliable and a dangerous hitter as a Brewers regular, and yet, there’s plenty of room for improvement, and that starts with a simple turn of luck. By now, we all know that batting average is a flawed statistic, but I feel must address it here, because in this case, it’s important. In 2017, Shaw’s batting average was a respectable .273. In 2018, his average dropped like Paul Ryan’s approval rating, and he ended the year batting only .241. His low batting average, coupled with a handful of other statistics, is one of the biggest reasons I believe Shaw will take a tremendous step forward during the 2019 campaign. Let’s take a look at Shaw’s batting average, on-base percentage and batting average on balls in play. This is fairly telling. Shaw’s batting average on balls in play — which generally shows the amount of good or bad luck a hitter/pitcher has — fell by 70 points. Shaw went from owning the 62nd-highest BABIP (league average was .300) to the 134th-highest BABIP, or seventh-lowest among qualified hitters, depending on how you want to phrase it. That’s eye-opening. For starters, Shaw fought through a wrist injury last season. Wrist injuries are famous for zapping bat speed and subsequently lowering exit velocities, and though Shaw’s exit velocity didn’t move more than a hair in 2018, his hard-hit rate noticeably dropped a few percentage points. Shaw also hit more pop ups, another sign of poor contact. His wrist injury could be reasonably blamed for both. Shaw additionally sees a lot of shifts, which makes it harder for hits to fall, particularly for pull hitters. Shaw faced the shift more often in 2018 than in 2017, and his batting average on ground balls fell from .246 to .197, but I’m just not a believer that a six percent shift increase is the cause of Shaw’s 50-point drop in grounder BABIP. Plus his ground-ball rate significantly declined this past season, so we can’t say he’s hitting too many grounders in general. Blaming his low BABIP solely on grounders into the shift just isn’t accurate. Don’t believe me? Well, maybe you’ll believe Statcast. The thing that stands out to me the most is Shaw’s still awesome on-base percentage. Despite his batting average suffering a sharp decline, his OBP stayed consistent. And that got me thinking. How many hitters in 2018 managed an 100-point difference between their on-base percentage and batting average on balls in play (minimum 200 plate appearances)? The list must be small, right? Because that’s a huge gap. The list, is in fact, small. Only six players in 2018 recorded a bigger gap between their OBP and BABIP than Shaw, and some of them make sense. Carlos Santana has always been a high-OBP, low-BABIP hitter, and of course, Mike Trout is going have a significant gap when his OBP is a whopping .460. But let’s focus back on Shaw. Shaw’s on-base percentage remained high because he discovered a new-found sense of plate discipline. His walk rate jumped over three percentage points, while he cut his strikeouts by over four percent. Even though Shaw made significant strides at the plate in 2018, he was burdened by horrible luck. Historically bad luck, actually. Since 2010, there have only been 10 hitters (14 individual seasons) who have recorded an on-base percentage of .330 or higher with a BABIP of .250 or lower (minimum 300 plate appearances). While Shaw and Santana are the only players from 2018 on this list, there’s something else that sticks out even more. Of every player above, Shaw is the owner of the second-highest career BABIP, trailing only Evan Longoria. That mean’s Shaw’s .241 batting average was an outrageous outlier. He deserved a much better fate, and even though he was one of Milwaukee’s best hitters, his end-of-the-year stats could’ve — and probably should’ve — been prodigious. Based on everything I laid out, I believe Shaw is capable of taking a Neil Armstrong-like step forward in 2019. Based on his historically bad luck alone, he should crush pitchers at a high rate. The health of his wrist will be key and he’ll need to do a better job of holding his own against left-handed pitchers, but Shaw will also need the notorious baseball gods back on his side. Just think about it. If Shaw — with his improved eye at the plate — hit .312 on batted balls in 2018 like he did the previous year, he most likely would’ve eclipsed 130 wRC+ and could’ve been a 4-win player. Shaw’s BABIP must hover around .300 in order for him to take the leap that I expect from him. He’s just a few positive bounces away from achieving career-high numbers. As a treat for making it this far, here’s Shaw’s RW23 projection for the 2019 season. Spoiler: it’s absolutely insane. So insane that while I think Shaw will be excellent, I don’t necessarily believe he’ll be this outstanding. I mean, he’d probably garner MVP votes based on this projection. Shaw is capable of being an All-Star, and I’m riding or dying with that prediction. Care to join me? This entry was posted in Analysis and tagged Milwaukee Brewers, Travis Shaw on January 7, 2019 by Justin Schultz. Who are the Brewers getting in Alex Claudio? Though it wasn’t Wilson Ramos or Corey Kluber, the Milwaukee Brewers made an acquisition Thursday, right before the MLB Winter Meetings in Las Vegas shut down. The Brewers sent their Competitive Balance Round A pick (No. 40 overall) in next year’s draft for Alex Claudio, a left-handed reliever who has pitched for the Texas Rangers in each of his five major league seasons. By acquiring Claudio, the Brewers strengthen an already elite bullpen. But who exactly is Alex Claudio? Let’s start by looking at his pitching profile. If you go to his player page on, say, FanGraphs, you’ll notice two things immediately; he doesn’t strike anyone out and he’s a ground-ball god. You’ll also probably see the 4.48 ERA he posted in 2018, but we’ll get to that silly statistic in a bit. Claudio relies heavily on his sinker — as do most ground-ball pitchers — by throwing it over 50 percent of the time. He also features a changeup and mixes in a slider on occasion, but in general, he’s a sinker hurler. Regardless, here’s what his changeup is capable of looking like when it’s on its game. Claudio’s changeup and slider generate significantly more swings and misses per swing than his sinker, so one may ask why he doesn’t throw those two pitches more often? Well, it’s because Claudio — as insane as this sounds in (basically) 2019 — doesn’t care about strikeouts. He doesn’t need whiffs to be successful. That’s not his game. His goal is forcing ground balls that his infielders can turn into outs, and he’s done that better than almost anyone in baseball. Since 2016 there have been 57 relievers who have recorded at least 170 innings. Claudio ranks second on that list in ground-ball rate. His 63.7 GB% trails only Brad Ziegler over that time period. He expects to get outs with his ground balls, and with the way the Brewers shift their infield defense, he’s likely to see his outs surge. Now let’s get back to his 2018 ERA. In terms of ERA, Claudio had his worse season of his career last year, despite generating ground balls at a 60 percent clip. What happened? But more importantly, why shouldn’t Brewers fans be worried about this? The table displays Claudio’s ERA and FIP in each of his last three seasons. I picked Earned Run Average because it shows — though flawed — the end result of a pitcher’s season and that’s important. And I picked Fielding Independent Pitching because it paints a more accurate picture than ERA. The table also shows his batting average on balls in play, which has the ability to demonstrate certain types of luck. 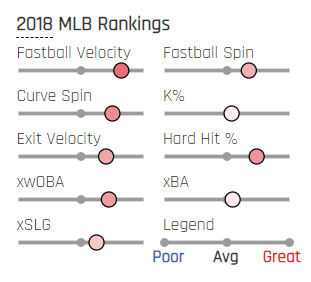 Obviously, the left-hander suffered some awful batted-ball luck in 2018. Of every qualified reliever last season — 151 pitchers in all — Claudio’s .366 BABIP allowed was the third-highest mark. That’s enough proof right there to know there’s just no way that’s sustainable. Now, this isn’t an exact science, and his high BABIP from 2018, though likely, isn’t guaranteed to drop. There’s reasons other than luck for his BABIP rise, like the fact his ground-ball rate dropped by six percent from 2017, or that his defense behind him was one of the worst in baseball in terms of Defensive Runs Saved. Luckily, Milwaukee’s defense is far superior in that category, so that should help Claudio’s numbers immediately. While there are credible factors that contributed to his .366 BABIP, I think it’s safe to say that luck was the biggest culprit. With the exits of Dan Jennings and Xavier Cedeno from the Brewers bullpen, the team was in search for a southpaw who could eat innings. Claudio is, if nothing else, an innings eater. He’s also a significant upgrade over Jennings, who was left off the playoff roster in October. Not to mention, the Brewers have control over Claudio until 2021, which was likely very appealing to general manager David Stearns. Claudio isn’t a flashy acquisition and the move isn’t going to make headlines. But neither did the signing of Jhoulys Chacin last December and look how that turned out. This entry was posted in Player Profile and tagged Alex Claudio, Milwaukee Brewers on December 13, 2018 by Justin Schultz.